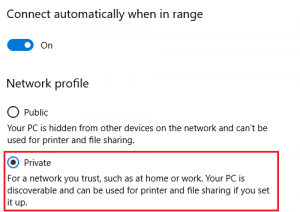 A number of users reported that they encountered an error that says, “Windows doesn’t have a network profile for this device” while they tried to connect Network devices such as printers and speakers to their Windows 10 computers. On the other hand, this kind of issue is reported for non-network devices as well. This kind of error might be due to incompatibility between the device and your operating system or it could be that the network drivers in your computer need to be updated in order to recognize new device. 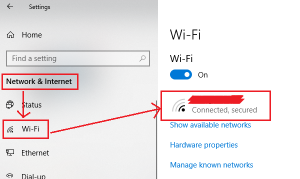 Whatever the cause is here are a couple of suggestions you can try to resolve the “Windows doesn’t have a network profile for this device” error. As mentioned, the error could be due to incompatibility between the device and the system. To verify, just go to the website of the device’s manufacturer since you can find all the information about the device there. Then click on the gear-like icon to open Settings. After that, select Network & Internet >> Wi-Fi. Next, change the Network Profile to Private. Now restart your computer and then connect the device again and see if the error is gone or not. You might also want to update or rollback or disable your Network drivers to fix the “This operation failed as no adapter is in the state permissible for this operation” error. Tap the Win + R keys to launch the Run window and then type in the “devmgmt.msc” command and hit Enter to open the Device Manager window. 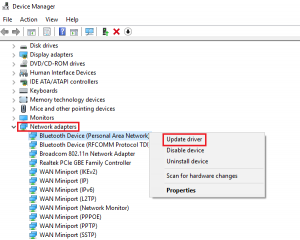 Then right click on each one of the Network drivers and depending on your preference, you can either select “Update driver”, “Disable device” or “Uninstall device”. After that, restart your PC and see if it helped in fixing the “Windows doesn’t have a network profile for this device” error. Tap the Win + R keys to open the Run dialog box and type “services.msc” in the field and tap Enter to open the Service Manager window. 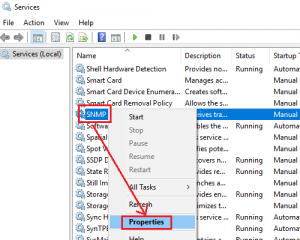 After opening the Service Manager, look for the SNMP Service from the list of services. 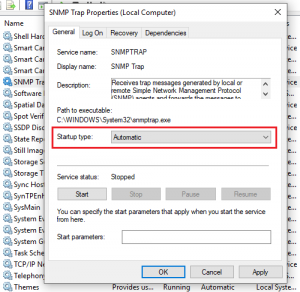 Once you’ve found the SNMP Service, make sure that its Service Status is set to “Running”. If the service is not running, just right click on it and select Properties. From there, change the Service Status to Automatic and then click on the Apply and OK buttons. After that, click on the Start button again and check if the error is now fixed. You have to go to Control Panel > Devices & Printers. From there, right click on the printer which is the one that causes the error and then select Printer Properties. Next, click the Configure Port button under the Ports tab and select SNMP Status Enabled. Now click the OK button and check if it fixes the error or not. 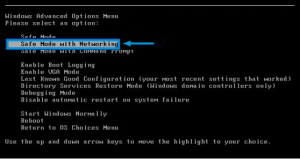 You could also run this troubleshooter to fix the “Windows doesn’t have a network profile for this device” error. The first thing you need to do is click on Start and then on the gear-like icon to pull up the window for Settings. After opening Settings, look for the Update and Security option and select it. 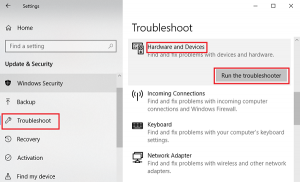 From there, go to the Troubleshoot option located on the left-hand side of the list. Next, select Hardware and Devices from the list and open the Troubleshooter and run it. Once it is doing its job, wait for it to complete the process and then restart the system. After the system restarts, check if the problem’s now fixed. If not, refer to the advanced guide given below. 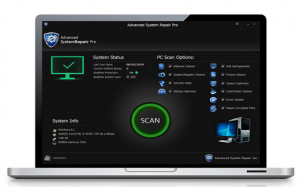 one-click solution, what makes this program better than other system utility tools or antivirus programs is that aside from helping you free up disk usage and memory in your computer, it helps you in fixing whatever issue your system is facing. This program is known as Advanced System Repair and is a useful tool that could repair corrupted registries and optimize your PC’s overall performance, including Blue Screen of Death errors. Aside from that, it also cleans out your computer for any junk or corrupted files that help you eliminate any unwanted files from your system. This is basically a solution that’s within your grasp with just a click. It’s easy to use as it is user-friendly. For complete set of instructions in downloading and using it, refer to the steps below.